2014. It just couldn't arrive quickly enough for me. It's here. So far so good. 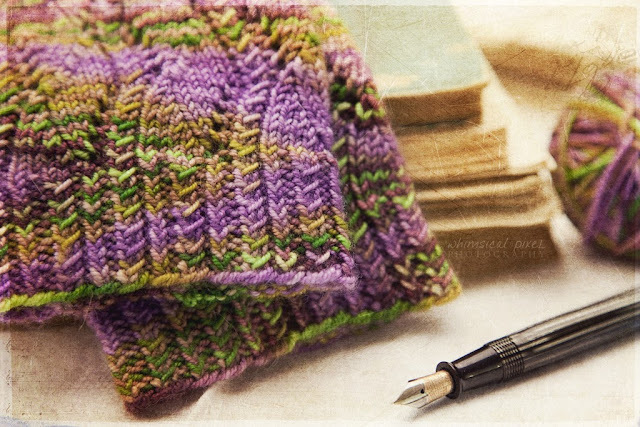 And the first post of 2014 is of knitting. Pretty pattern! Nice to see you back! Welcome welcome so glad you're home. I do love your blog! Happy new year. Pretty socks. You have been missed, Dear PK!! (P Knitter) Welcome back - and totally agree about 2014! Whew! Hugs and love for the new year!